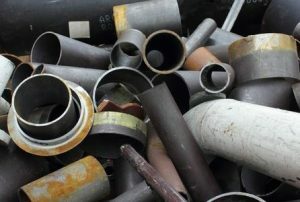 Ferrous vs Non-Ferrous Metals | IPES International, Inc. There are many differences between ferrous and non-ferrous metals. The biggest difference is that ferrous metals have iron in them while non-ferrous metals do not. Another difference is that non-ferrous metals have been around a lot longer than ferrous metals. Non-ferrous metals first showed up on the scene around 5,000 BC, about 3,800 years before ferrous metals arrived in 1,200 BC. But those aren’t the only differences between the two types of metals. There are several other aspects that set them apart. Check out what makes each type of metal unique below. Ferrous metals are known for being incredibly strong and durable. They are often used when building everything from skyscrapers and shipping containers to vehicles and tools. Some examples of ferrous metals include carbon steel, wrought iron, and alloy steel. These metals are sometimes vulnerable to rusting due to their relatively high carbon content. However, they’re also magnetic, which makes them ideal for using in motors and other electrical applications. Non-ferrous metals are not as strong or durable as ferrous metals are. However, they are known to be a lot more malleable than ferrous metals and their lack of iron also makes them rust and corrosion resistant. Some examples of non-ferrous metals include aluminum, tin, and copper. Gold and silver also fall into this category. You’ll find that non-ferrous metals are used to make things like gutters, outdoor signage, and even pipes. They aren’t magnetic, so they’re used in many wiring applications and inside of some electronics. Did you know the magnetic separators, magnetic sweepers, or retrieving magnets sold by IPES International can help you grab these metals? You should think about whether you’re going to be going after ferrous or non-ferrous metals before moving forward. Call us at 412-781-4660 today if you have any questions about our products.